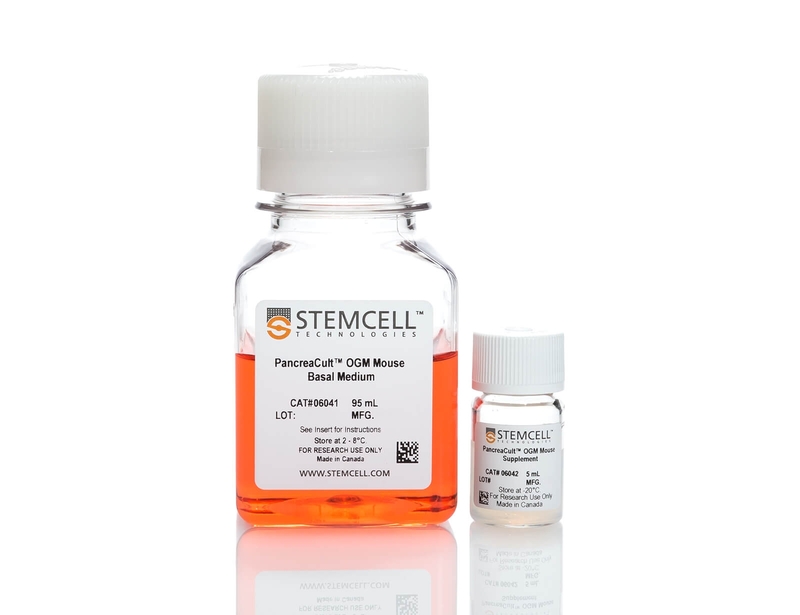 PancreaCult™ Organoid Growth Medium (Mouse) is a serum-free, defined cell culture medium for establishing and maintaining mouse pancreatic exocrine organoids. Derived from progenitor cells residing in pancreatic ducts, these "mini-pancreata" provide an in vitro, organotypic culture system for studying pancreatic cell biology, disease, and cancer. Organoids grown in PancreaCult™ feature an epithelium expressing genes marking pancreatic stem cells (LGR5), progenitor cells (PDX1, SOX9), and ductal cells (CAR2, MUC1, KRT19). Pancreatic organoids can be passaged every 3 - 6 days for long-term maintenance and can also be cryopreserved. In 2013, Dr. Meritxell Huch et al. first described the culture of pancreatic tissues as organoids. 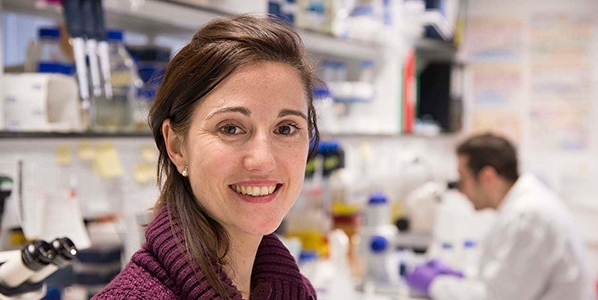 In this researcher interview, Dr. Huch discusses what led her to studying organoids and provides her insight for where she thinks the use of organoids is headed. CONVENIENT. In vitro system for generating organoids within a week. STEP-BY-STEP PROTOCOL. No injury models, hand-picking of ducts or cell sorting required. SIMPLE, TWO-COMPONENT FORMAT. Serum-free and defined medium formulation. FLEXIBLE PROTOCOL. Organoids can be grown from duct fragments or single cells and be cultured in matrix domes or suspension. Despite the prevalence and importance of research into pancreatic cancer during the recent decades, ex vivo culture of pancreatic exocrine tissues has remained difficult until recently. In 2013, Dr. Meritxell Huch et al. described an efficient method for the propagation of pancreatic tissues in vitro as organoids. 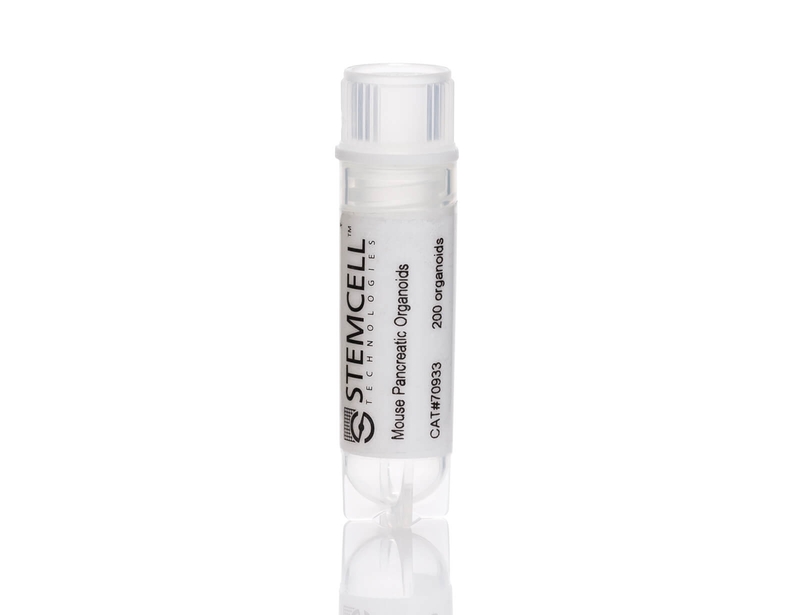 In 2014, Dr. Hans Clevers and Foundation Hubrecht Organoid Technology signed an agreement with STEMCELL Technologies to manufacture and distribute cell culture media for organoids. PancreaCult™ Organoid Growth Medium (Mouse) was released in early 2018, providing researchers with a robust medium for establishing and maintaining pancreatic exocrine organoids. Broutier L, et al. (2016) Culture and establishment of self-renewing human and mouse adult liver and pancreas 3D organoids and their genetic manipulation. Nat Protoc. 11(9): 1724-43. Hindley CJ, et al. (2016) Organoids from adult liver and pancreas: Stem cell biology and biomedical utility. Dev Biol. 420(2): 251-261. Huch M, et al. (2013) Unlimited in vitro expansion of adult bi-potent pancreas progenitors through the Lgr5/R-spondin axis. EMBO J. 32(20): 2708-21. Hohwieler M, et al. (2016) Human pluripotent stem cell-derived acinar/ductal organoids generate human pancreas upon orthotopic transplantation and allow disease modelling. Gut. 66(3): 473-486. Avars M, et al. (2017) IL2RG, identified as overexpressed by RNA-seq profiling of pancreatic intraepithelial neoplasia, mediates pancreatic cancer growth. Oncotarget. 8(48): 83370-83383. Ferreira RMM, et al. (2017) Duct- and acinar-derived pancreatic ductal adenocarcinomas show distinct tumor progression and marker expression. Cell Rep. 21(4): 966-978. Chio II, et al. (2016) NRF2 Promotes Tumor Maintenance by Modulating mRNA Translation in Pancreatic Cancer. Cell. 166(4): 963-976. Baker LA, et al. (2016) Modeling pancreatic cancer with organoids. Trends Cancer. 2(4): 176-190. David CJ, et al. (2016) TGF-β tumor suppression through a lethal EMT. Cell. 164(5): 1015-30. Boj SF, et al. (2015) Organoid models of human and mouse ductal pancreatic cancer. Cell. 160(1-2): 324-38. Roe JS, et al. (2017) Enhancer reprogramming promotes pancreatic cancer metastasis. Cell. 170(5): 875-888. Sinha S, et al. (2017) PanIN neuroendocrine cells promote tumorigenesis via neuronal cross-talk. Cancer Res. 77(8): 1868-1879. Park I, et al. (2017) HDAC2/3 binding and deacetylation of BubR1 initiates the spindle assembly checkpoint silencing. FEBS J. 284(23): 4035-4050. Westphalen CB, et al. (2017) Dclk1 defines quiescent pancreatic progenitors that promote injury-induced regeneration and tumorigenesis. Cell Stem Cell. 18(4): 441-55. Azzarelli R, et al. Multi-site neurogenin3 phosphorylation controls pancreatic endocrine differentiation. Dev Cell. 41(3): 274-286.